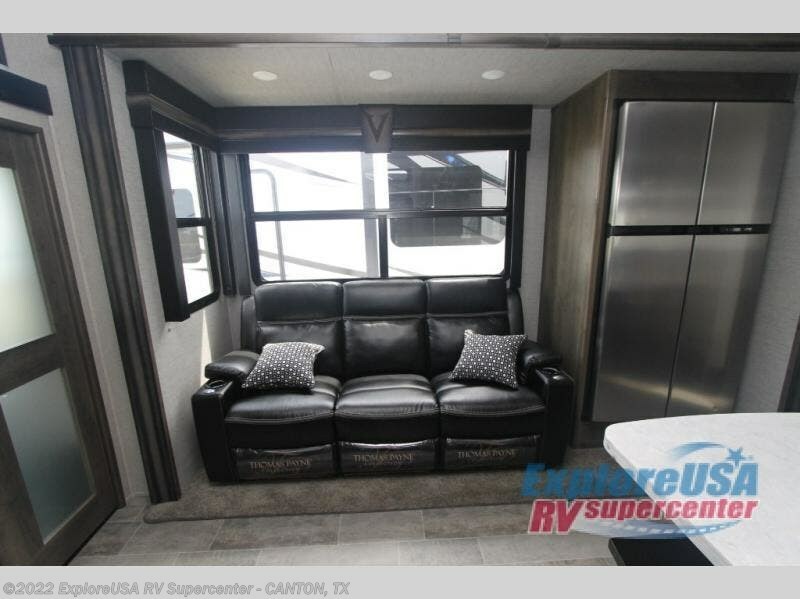 You and seven of your closest friends can enjoy a weekend filled with adventure when you hitch up this Dutchmen Voltage toy hauler fifth wheel. 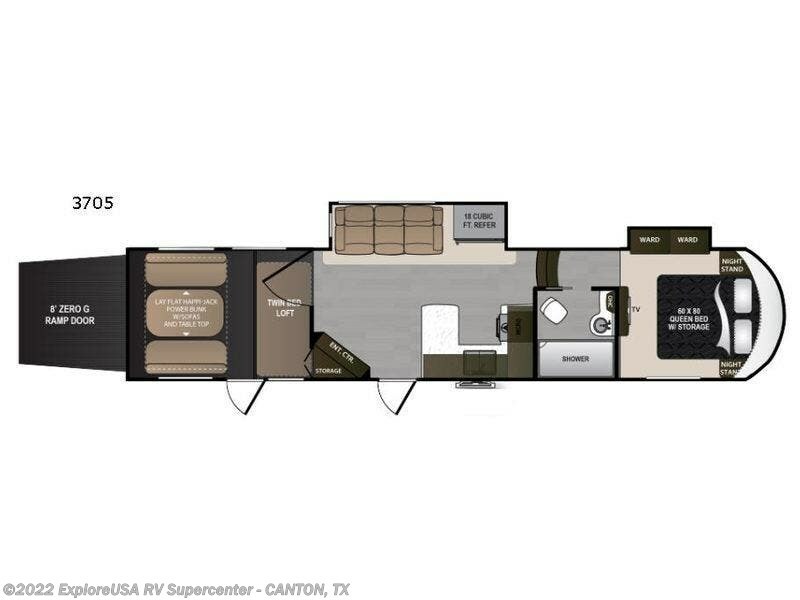 Model V3705 offers room for your toys, a spacious interior for down time hanging out, and all of the comforts of home. 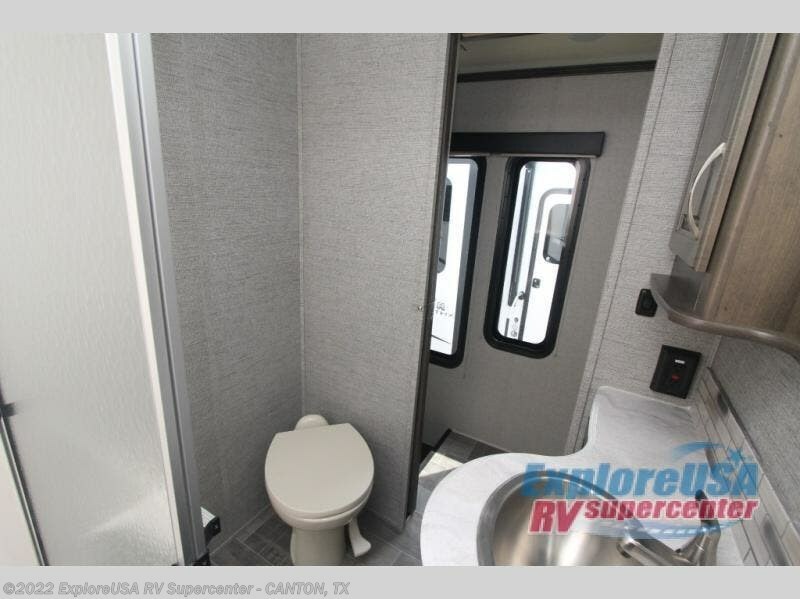 You will love the 8' zero gravity ramp door for loading and unloading. There are ample tie downs rated for 2,500 lbs. 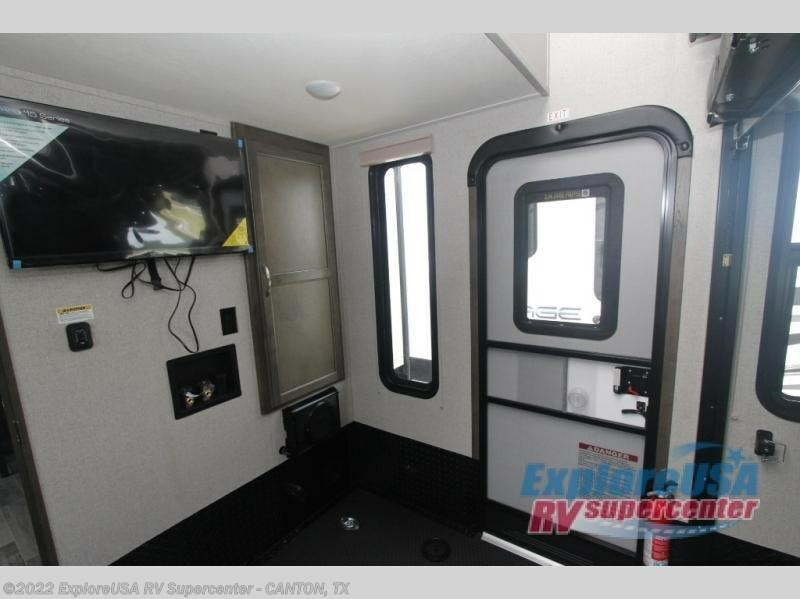 so your cargo is secure during travel. 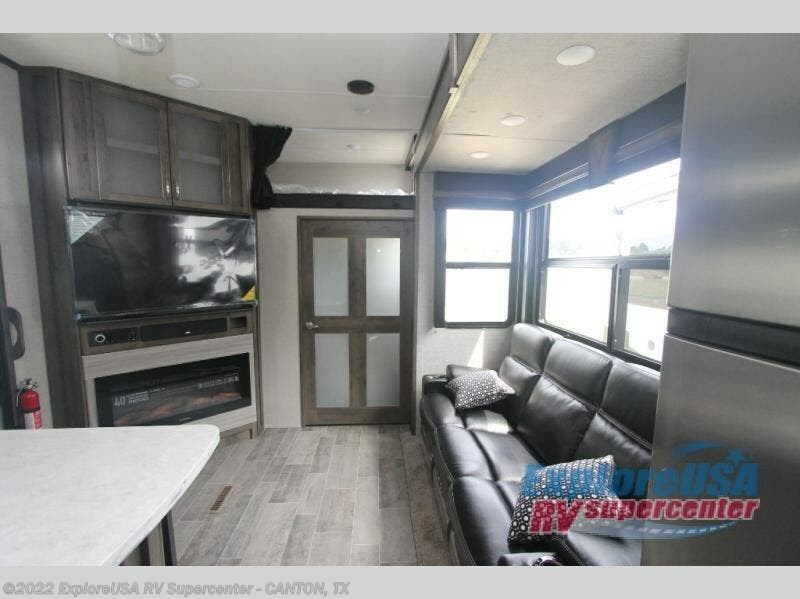 Once unloaded you've got yourself a bit more living space and a hang out place between rides that keeps any dirt and mess out of the main living area. With the Happi-Jack power bunk and roll-over sofas along either side and the loft you can easily sleep five in the garage area alone. 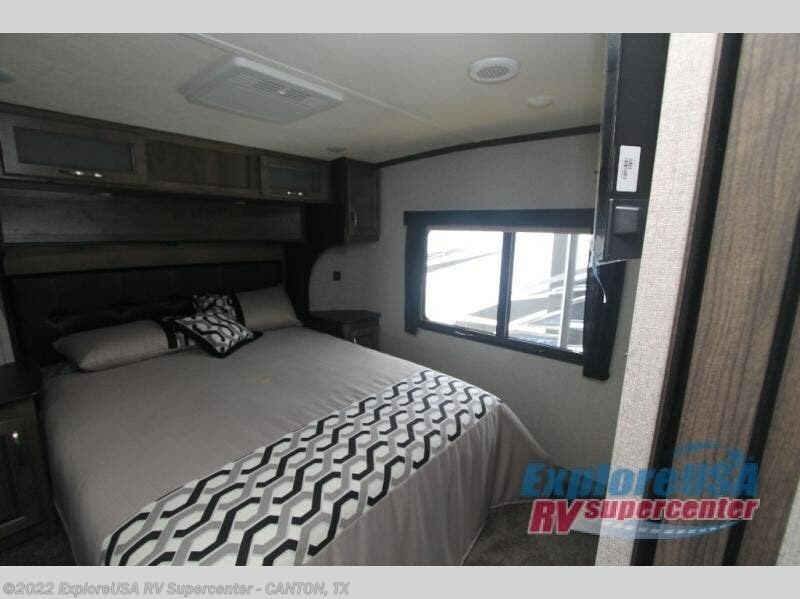 Inside, you will enjoy the upgraded residential furnishings, an 18 cu. 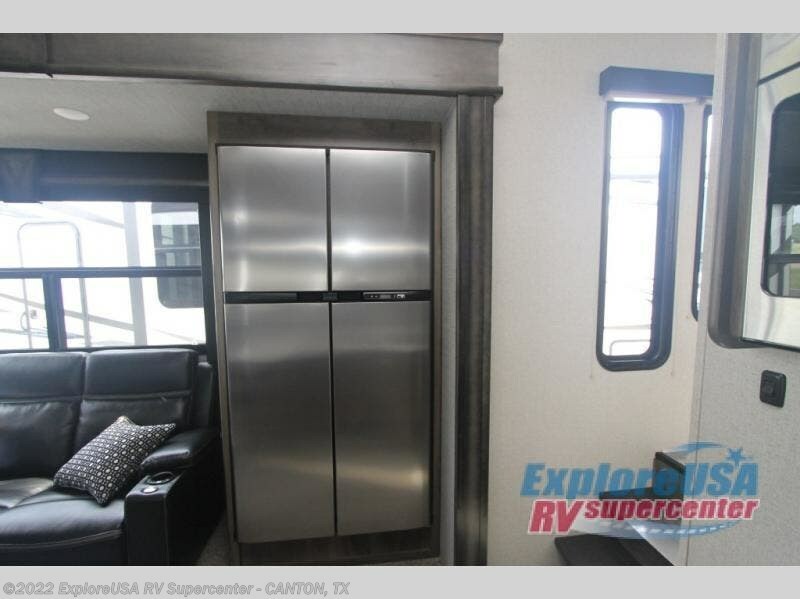 ft. refrigerator for your cold food and drinks, plus complete kitchen and bath features so you can refuel your adventure seeking friends and get cleaned up each day as well. 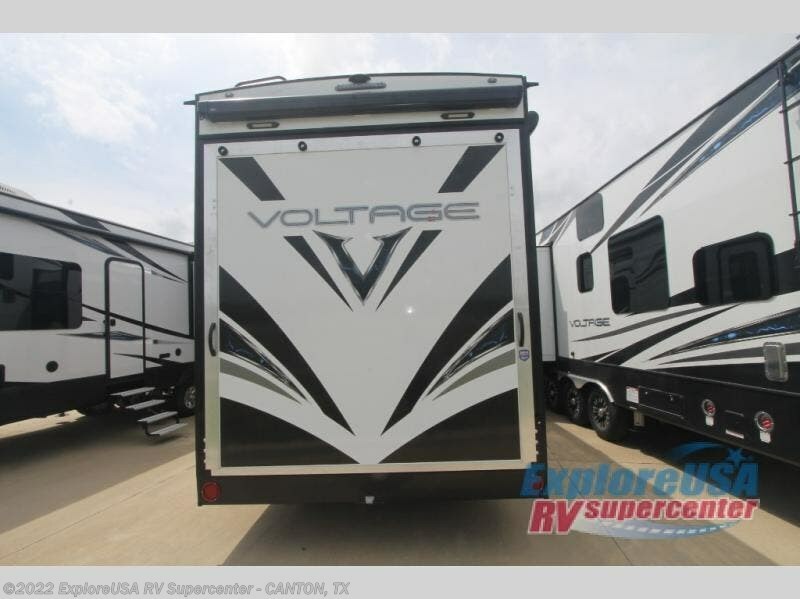 Even though the Voltage is the most popular toy hauler in its class, you don't have to own toys to want or own any one of these units. 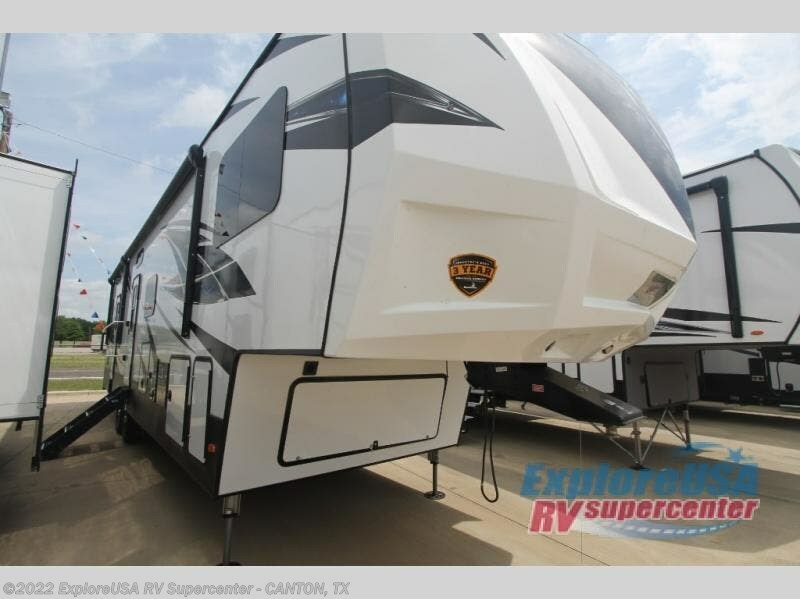 These haulers are so versatile that just having the added garage space allows you so many more camping options. 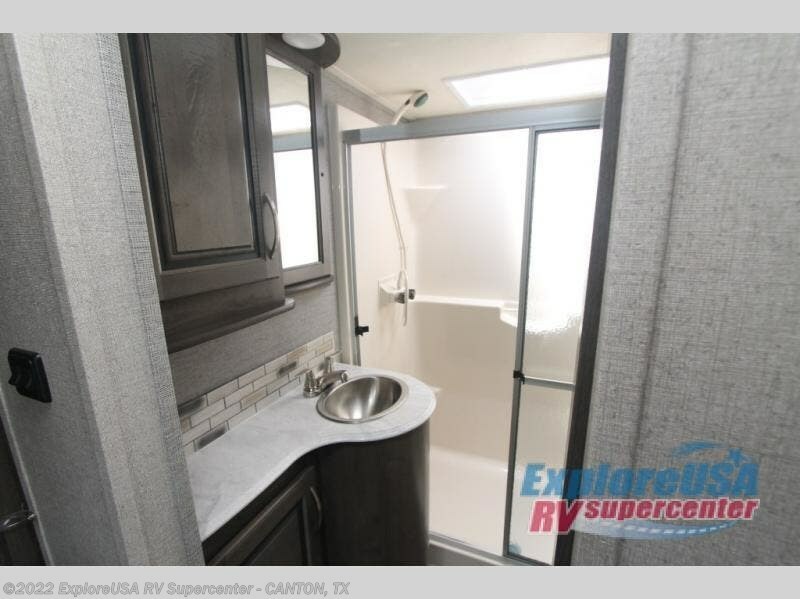 The extra space alone makes traveling so much more fun! 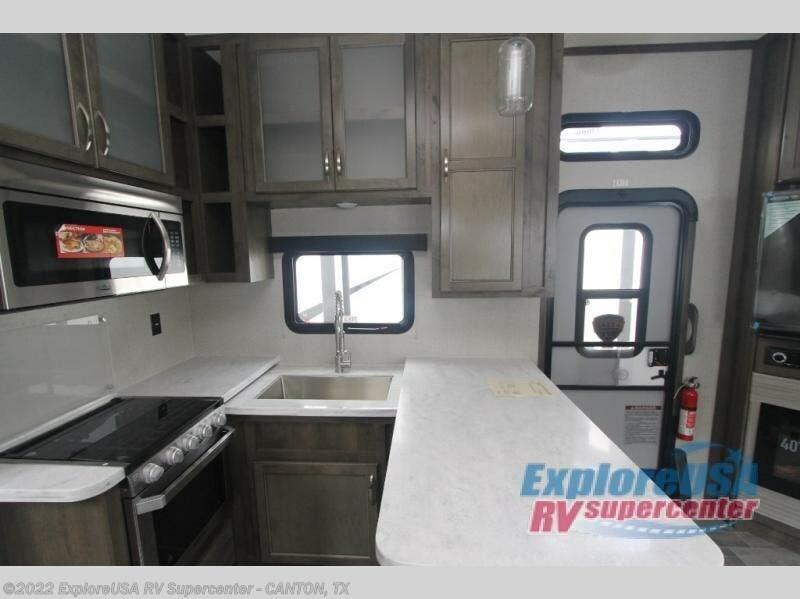 Just think of how much gear you can take along for your favorite activities and outdoor games. 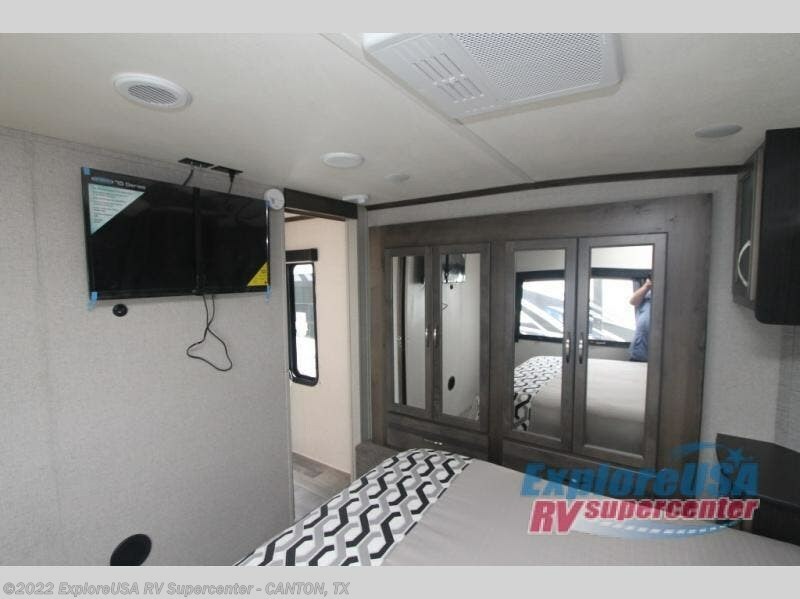 Each rear ramp can be positioned horizontally to allow you to add optional awnings, screen rooms, and side rails to create a rear patio, or even a set of steps to the ground. 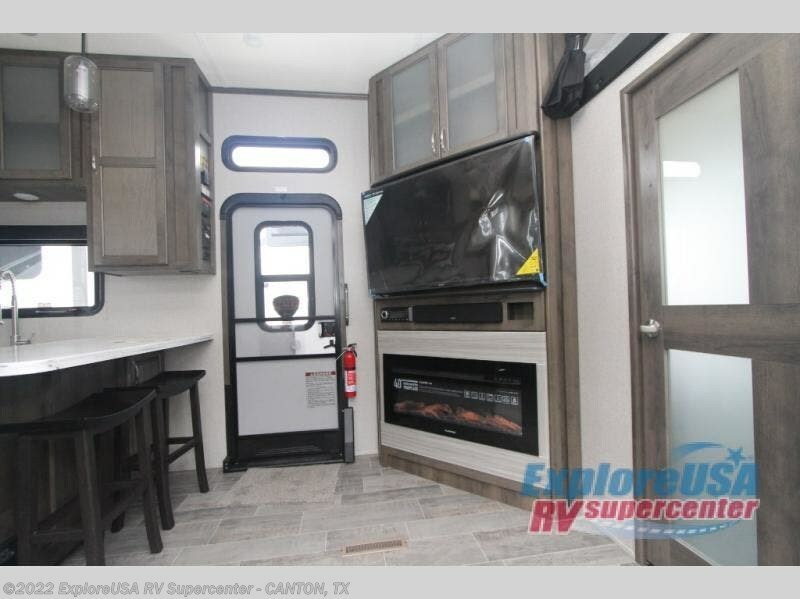 Now, how is that for camping when you can take your very own outdoor patio along! 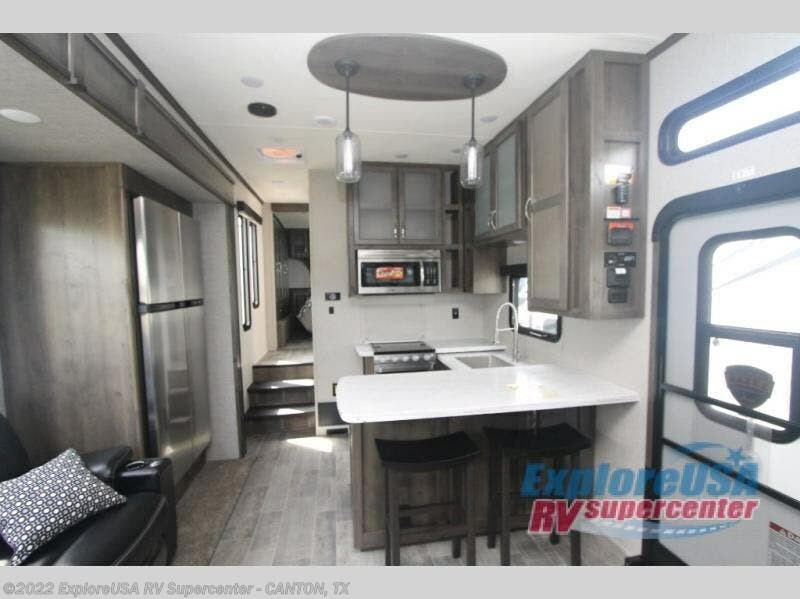 On the inside, you will find that Voltage offers higher ceilings for a spacious open feel, upgraded residential furnishings, a gourmet kitchen with quartz countertops, and hardwood cabinetry as well. 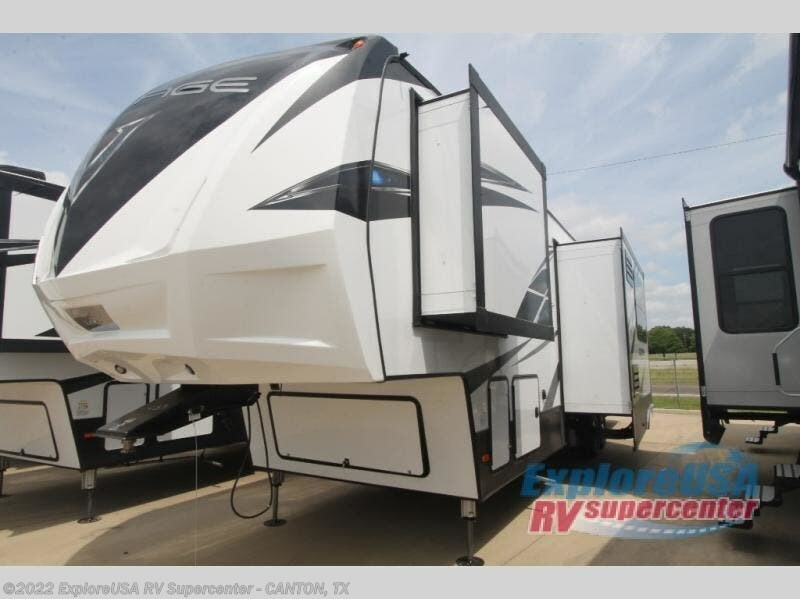 And, with the 30 gallon gasoline fuel station standard on every model you can be assured that you can indeed keep all of the toys going for the weekend and beyond! 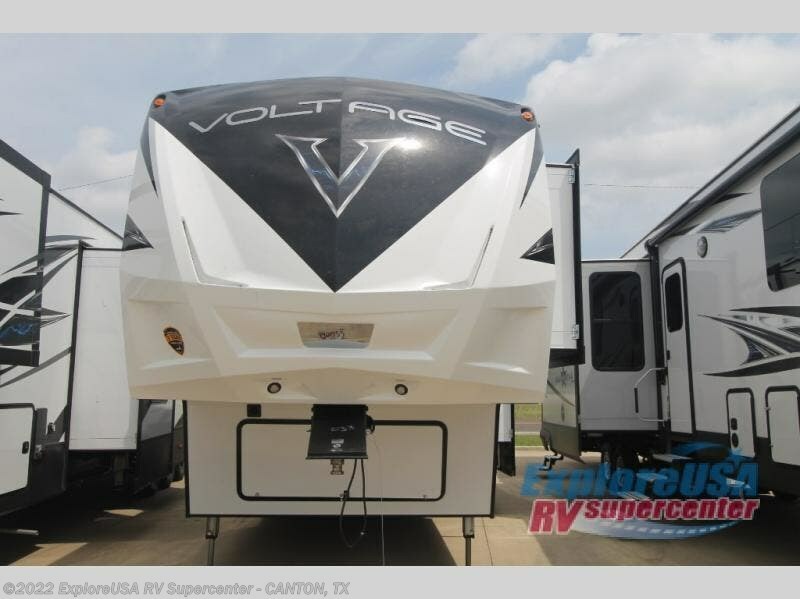 So, for camping that requires your favorite outdoor toys, or even a backyard patio, choose any Dutchmen Voltage FW toy hauler and begin planning your next family adventure! 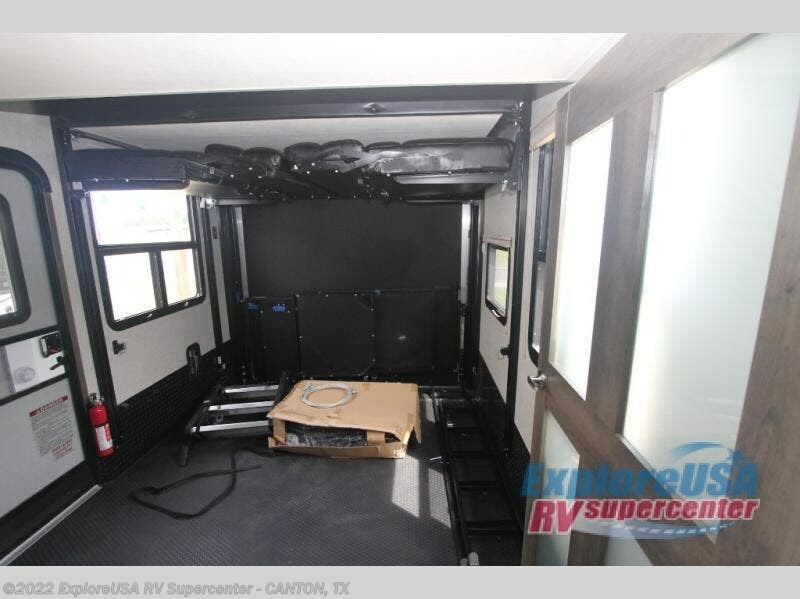 Check out Stock # W2190 - 2019 Dutchmen Voltage V3705 on dutchmenrvs.com!